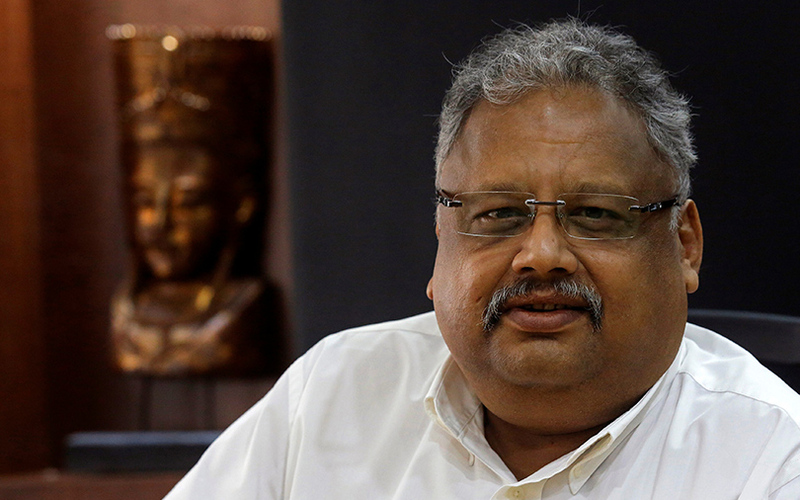 Major Indian share investor Rakesh Jhunjhunwala said he is steering clear of all initial public offerings for now as valuations have skyrocketed amid strong inflows and exuberance in equity markets. India has had a boom in IPOs, with a record $11 billion raised this year. However, high valuations - especially for some recent insurance IPOs - have produced some weak secondary market debuts and weighed on investor sentiment in recent weeks. Jhunjhunwala, often dubbed by Indian media as the country’s Warren Buffett, added that he has largely avoided the recent spate of IPOs and has unwound the few small bets he placed in these offerings. He said that the recent tepid listings could lead to a “lull” in the IPO pipeline, and companies coming to market might readjust their pricing. “They will have to wait for two to three months and then come at lower or fairer valuations,” the investor said. According to Forbes, Jhunjhunwala has a net worth of about $2.9 billion. He made his fortune from equity investments, and his stock picks are closely watched by India’s retail and institutional investors. India’s share markets have logged a string of record highs, despite an elusive earnings recovery and confusion stemming from the July 1 roll-out of a major tax reform. This has stretched valuations in several sectors, raising concerns of a potential correction. Jhunjhunwala said he expects a rebound in corporate earnings in the remainder of the current fiscal year, which ends in March, with early signs already evident in the quarter ended Sept. 30. The market veteran said he also expects a weakening rupee in 2018 to act as a tailwind for export-oriented Indian drugmakers, making stocks in that sector more attractive. Regulatory scrutiny and pricing pressure on medicines in the United States in the last couple of years have dented profits at Indian drugmakers, which supply roughly a third of the generic medicines sold there. The Nifty Pharma Index has fallen some 34 percent from its record high in April 2015. In contrast, the main market index has gained nearly 18 percent in that period. On overall equity markets, Jhunjhunwala cautioned that given the sustained rally since the beginning of 2016, there may be a correction in the near-term, but he does not expect the bullish trend to end anytime soon. “Markets may in the short-term correct. But in a bull market the correction is always sharp, swift and short-lived,” Jhunjhunwala said.